Harry's LapTimer release v20 is on the stores! I've put a lot of love into this new version adding exciting features like real time overlays and hundreds of other changes! To celebrate the 10 year anniversary, this major update is free for all existing users. For new users, I have reduced prices by 25% for the next few days! In case you have friends interested, please share. I hope you enjoy v20 as much as I enjoyed developing it. Technology is great! Have you been able to get GoPro Hero 3+ to communicate with and Android Galaxy 5S without issues? Personally, I can test the HERO3, HERO4 BE and Sony AS15. Are there any issues with the 3+? According to GoPro it uses precisely the same interface like the HERO3. 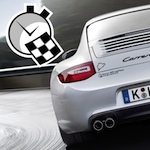 i ve been on may 16. on nürburgring gp session with 60 turns. no issues with the gopro 3+ dual 160 xgps and gopoint bt1. i merged the gopro files, transfered it to iphone 6 and overlayed it. i am happy everything ok.